Mid-range drink driving offenders will have to blow into a breathalyser to prove they are sober before turning the keys to their cars and the speed camera network on the state’s roads will be turned on to catch people using their mobile phones behind the wheel as part of tough state government reforms announced on Tuesday, and tougher road rules introduced in NSW. After a horror holiday road toll, which saw double the number of deaths on NSW roads compared to the previous year, and an increase in the road toll in the past three years, Premier Gladys Berejiklian’s package includes lower speed limits and a crackdown on drink and drug-affected driving and driver distraction. Premier Gladys Berejiklian has announced a swathe of tough new road safety rules. It will be mandatory for people convicted of mid-range drink driving offences to have “interlock” devices fitted to their cars. The technology, previously imposed only on repeat offenders or by a magistrate, stops someone from starting a car if they are detected to have consumed alcohol by blowing into a breathalyser device connected to the car’s ignition. As revealed by Fairfax in December, low-range drink drivers will be able to be fined by police or have their licences suspended on-the-spot licence suspensions instead of court dates if they elect not to contest the offence. The Premier also said the government would now look at the option of turning its network of speed cameras onto drivers breaking the law by using their mobile phones behind the wheel. “Distraction is a huge concern in relation to deaths on our roads and that is a trend that is continuing,” Ms Berejiklian said. Ms Berejiklian said that cameras on some of Sydney’s roads and bridges were already able to detect people using their phones illegally. The technology will be trialled first and enabled by legislation. The government will also introduce 11 more heavy-vehicle average speed camera locations – which measure a driver’s speed over long distances and between two points – in Sydney and in areas with increased truck activity, which has been increasingly linked to fatal crashes. The Premier said she said there were more steps the government could undertake including allowing drivers to “dob in” others were driving unsafely and enabling the existing country network of point-to-point cameras to be used to catch speeding cars, who can currently speed past the speed cameras without being fined. The issue is a point of conflict within the coalition government and opposed by many Nationals MPs. 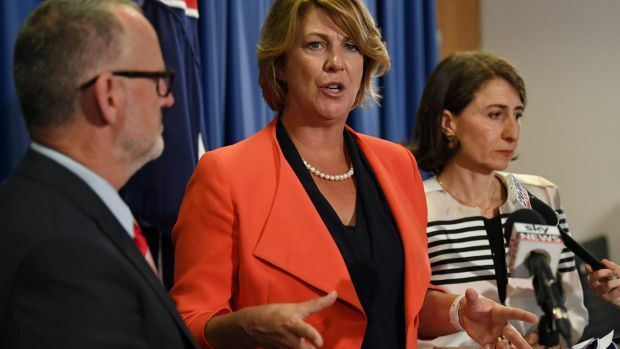 But Roads Minister and Nationals MP Melinda Pavey said that extending the use of point-to-point cameras to cars in country areas could undermine road safety campaigns. The Premier will also commit $125 million to country road upgrades including more than 1500 kilometres of wire and high-risk curb bumpers to prevent drivers straying into the wrong lanes and $11 million for pedestrian and cyclist refuges. The state will also crack down on people who drive under the influence of drugs. The toughest penalties for drug-affected driving will now increase to align with the toughest penalties for drink driving, adjusting a discrepancy in the law. The Premier said a working group of legal and medical experts was looking at options for cracking down on drivers affected by medicinal drugs prescribed by doctors including methadone. Ms Berejiklian said she would receive a report in April. The NSW sentencing council will review penalties and the efficacy of road safety campaigns will also be reviewed, the government said and councils will be consulted on increasing areas with 40 km/h speed limits. As previously announced, the number roadside drug tests police conduct every year will also double to 200,000 and include cocaine. The announcement comes weeks after the death of 29-year-old actor Jessica Falkholt who clung to life for weeks after three other family members were killed on a Boxing Day car crash involving a driver with a history of driving offences on his way home from a Nowra methadone clinic. After decades of steady decline, NSW’s road toll has risen over the past three years, with a near-20 per cent increase from car crashes and 85 per cent from light trucks. 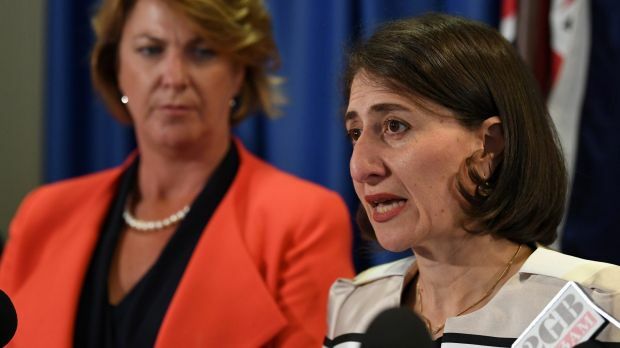 Ms Berejiklian said the government would introduce legislation and amendments required to enable the new measures in this session of parliament.